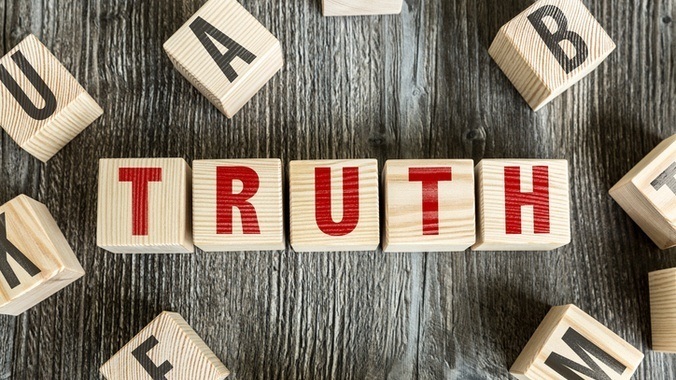 Further doubts have been cast over HMRC’s integrity after ContractorCalculator's analysis reveals that HMRC's claim that the cost of private sector non-compliance with IR35 will reach £1.3bn by the 2023/24 tax year doesn’t align with projections from the Office for Budget Responsibility (OBR). The figure, included in the taxman’s recent Off-Payroll consultation, has also recently been quoted in correspondence from Chancellor Philip Hammond in an attempt to justify the proposals. It is unclear where the £1.3bn estimate has arisen from, as it has not been certified by the OBR, the Government body responsible for providing economic forecasts of public finances. Meanwhile, the OBR’s policy measures database shows that the Off-Payroll rules are expected to net the Exchequer £661m in 2023/24 – effectively half of what HMRC has claimed. How has HMRC reached its £1.3bn non-compliance figure? In October 2017, Financial Secretary to the Treasury Mel Stride quoted a similar statistic before Parliament, claiming the cost of tax losses to the Exchequer due to non-compliance would reach £1.2bn by 2022/23. This, he noted, was based on projections made within the OBR’s 2017 Fiscal Risks Report. Notably, the OBR’s forecast for the ‘Exchequer impact’ of the private sector Off-Payroll proposals excludes the tax yield from small businesses. This is due to the small company’s exemption which excuses qualifying companies from applying the rules. Is HMRC’s estimate based on false assumptions? That the incorporated population would rise by 4% each year until 2021/22. The OBR noted that there were “risks in both directions around the underpinning assumptions”, a warning which has since been vindicated as neither assumption has materialised. As of October 2018, labour market statistics from the Office for National Statistics (ONS) show that the portion of self-employed has since declined to roughly 14.7%. A slump in the number of incorporated companies during 2017/18 was also compounded by an increase in the number of companies dissolved. “If we are right to assume that HMRC’s estimates are based on these dated and dubious forecasts, it brings an already contentious legislative proposal into disrepute,” notes Chaplin. Even when ignoring the bloated estimate, and taking only the verified figures into account, there is a great deal of uncertainty surrounding the anticipated tax yield of the Off-Payroll rules. There were significant modelling challenges. The Treasury has also claimed, in letters to constituents seen by ContractorCalculator, that the methodology and assumptions used for the private sector forecast are aligned with those used to estimate the financial impact of the public sector reform. “By its own admission, the OBR’s estimate is not meaningful,” comments Chaplin. “Of further concern is the Treasury’s claim that analysis for the private sector followed the framework for the public sector – an entirely different beast. How else could Government recoup supposed shortfall? Plans to delay the NICs Bill by one year and maintain Class 2 NICs is expected to yield £345m by 2023/24. Since IR35’s inception, HMRC has been consistently criticised for its pursuit of the ‘low hanging fruit’ that contractors represent, while failing to retrieve what it is owed by large corporations. This was underlined once more recently when a Mail on Sunday investigation revealed that 13 of the UK FTSE 100 companies had either paid no Corporation Tax in the UK, or had received a tax credit from HMRC. This included the likes of BP and Royal Mail. Meanwhile, last year, online retailer Amazon revealed that its Corporation Tax bill had almost halved, despite its UK profits tripling. Meanwhile, leading UK tax barrister Jolyon Maugham is currently locked in a legal battle with Uber, on the grounds that the transportation network company should be paying VAT on its services offered. Should Uber lose, HMRC could then seek VAT payments dating back four years, amounting to a sum which Maugham has noted could reach £1bn. Government’s pledge to reduce the Corporation Tax rate to 17% by April 2020 is also a costly one. While the OBR’s policy measures database suggests that it will cost the Exchequer roughly £1bn by 2023/24, recent analysis of HMRC data has suggested the loss of revenue from the planned cuts could equate to more than £6bn. This is a measure which it would make some sense to sacrifice, especially in the context of IR35, as it would deter from what HMRC perceives to be widespread tax-motivated incorporation. Editor technical note: The figures by the OBR for the off-payroll exchequer impact are found in their policy measures database. The £661m figure is obtained by summing rows 1597 to 1600 in column BF. The OBR figure, quoted in their Policy Costings 2018 paper is £725m for the year 2023-24. We understand from the OBR this also takes into account 'devolved Scottish income tax and the consequential block grant adjustment'. Either way, the figure certified by the OBR is still around half the £1.3bn quoted by HMRC.